Overview: The Kondh of India, numbering 1,875,000, are No Longer Unreached. 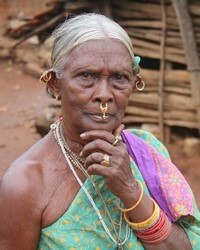 They are part of the Gond people cluster within the South Asian Peoples affinity bloc. This people group is only found in India. Their primary language is Kuvi. The primary religion practiced by the Kondh is Folk Hinduism, characterized by local traditions and cults of local deities worshiped at the community level.